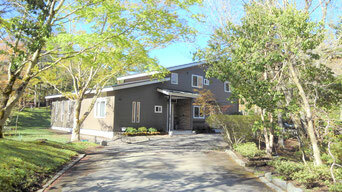 Satori Nagomi Healing Centre is located at Yamanakako, at the foothill of the grand Mount Fuji. One acre of property is set in peaceful nature with trees and birdsongs. Through Transformation Yoga, Natural Healing, Progressive Counselling, Pure Meditation and Retreat, you can nurture your mind, body, spirit and find peace & love within. We provide various useful workshops, such as Stress Management and Positive Parenting, through Skype, so that you can reach us from anywhere in the world. Satori Nagomi Healing Centre aims to provide support to people to find balance, peace, health, and happiness in their life, regardless of faith and religions. We hope to help you find your realization and peace. Lived in Canada, New Zealand, and England for 26 years. Worked as a social worker at Government Child Protection Agencies and a Psychiatric Hospital in Canada, and dealt with children and families from many races and cultures with various problems. I honor individual uniqueness and circumstances, and aim to build a trusting relationship with each person. Became interested in Spirituality in 2000, and studied Yoga, Healing, and Meditation. In 2015, moved to Yamanakako with my New Zealander husband and son, and opened Satori Nagomi Meditation Healing Centre.